When assembling a modular system, your goal should be to curate a good selection of circuits that work together & complete your vision of a dream instrument. The best part of modular synthesis is that you get to choose what you moves you — as it constantly grows and evolves with you. Modular music-making is coming back in a big way since its first rise to popularity in the 1960-70s. When modular synthesizers were first being designed, two stems of research and development were happening simultaneously led by the pioneer Bob Moog from the East & the more abstract modular genius Don Buchla from the West coast of the U.S.
A modular system is made up of individual modules with each part having a specific & finite number of functions that makes up the whole. The beauty is in how no system is one-in-the-same. There’s always been a fascination to these eccentric devices since the early days of experimenting. Modular synthesis is still largely known as a fluid and experimental form of music-making. From the very first album composed by Morton Subotnick using the first BUCHLA 100 series on ‘Silver Apples On The Moon’ to more contemporary productions, even making a scene on FACT’s Against The Clock series. The technology & methodology has since developed over the years, but certain specifications have been standardized from power supplies to the form factors that you need to brush up on. 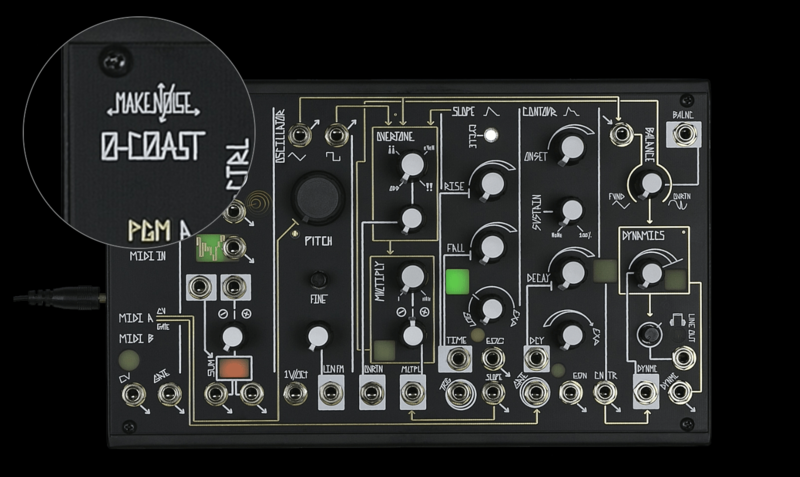 Make Noise 0-coast bridges both philosophies of modular synthesis within a single instrument. A new wave of fascination and development is happening today and we’re only scratching the surface here. To start developing your own perspective to modular sound design, we highly encourage you to learn the history of how it all started and the foundation of signal flow theory and control voltage manipulation. By knowing the rules, you can then learn how to find your unique approach like Output creator & award-winning composer Mark Isham. Watch how technology drives Mark’s creative process combining his classical mode of creating film scores on ‘Once Upon A Time’ and Electric Dreams with his obsession with analog synths and the entire Output suite. The learning never stops. Read up on the latest edition of Patch & Tweak and the Muff Wiggler Forums. Another great source of information are the documentary ‘I Dream Of Wires’ and this new webseries Patch.CV capturing the renaissance of modular synths. We already did some of the homework for you and hand-picked our favorite tools in a Modular Synth Starter Guide. Now, let’s take a closer look into types of modular synths and resources that can help you along the way. 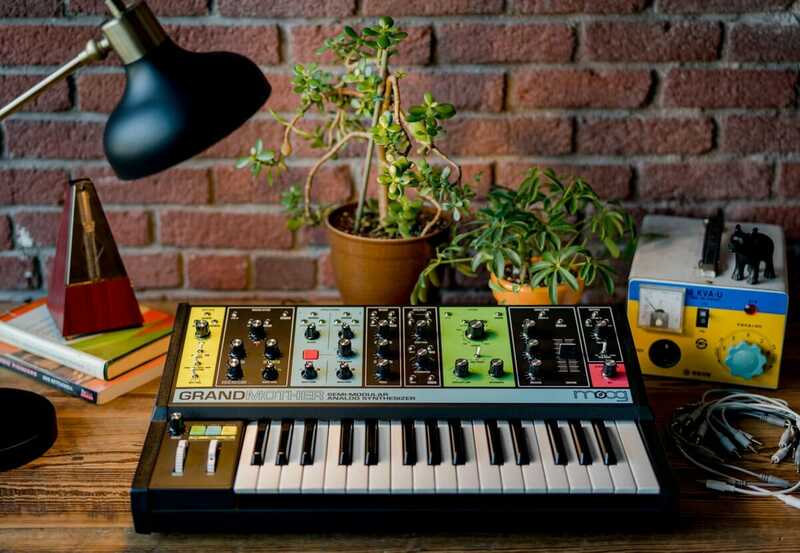 When you imagine a modular synth, you are probably thinking about a Moog. The Moog Unit was originated by Bob Moog with it’s classic look with a slightly larger format of big knobs and rich wood encasing for 8.75″ tall and more commonly noted as ‘5U’. This format became more widely-spread as the integration with the keyboard helped early adopters to relate to this new technology than its more abstract counterparts. If Bob Moog was your uncle with caramel candies in his pocket every Christmas, then Don Buchla is the uncle who had acid tabs in his mint box. Buchla designed his systems approximately around the same time frame as Moog in the early 60s, but with a radically alternative approach favoring experimentation and multi-functional possibilities. Recognized for using banana jacks with color-coded sockets – CV inputs are black & grey, outputs are blue, violet, and green hues, pulse inputs as orange and pulse outputs as red. Euroracks are increasingly popular and a big part of the renaissance of modular synthesis today. Dieter Doepfer is regarded as the father of Eurorack with his A-100 Line, which has inspired many new styles and functions in the Eurorack field. As a smaller form factor, modules are 128.55 mm high and grow width-wise based on ‘horizontal pitch’ (1hp = 0.1″ or 5.08mm) and use 3.5mm cables. Serge Tcherepnin was a French composer and designer in the 1970s that developed his own format at the California Institute of The Arts. 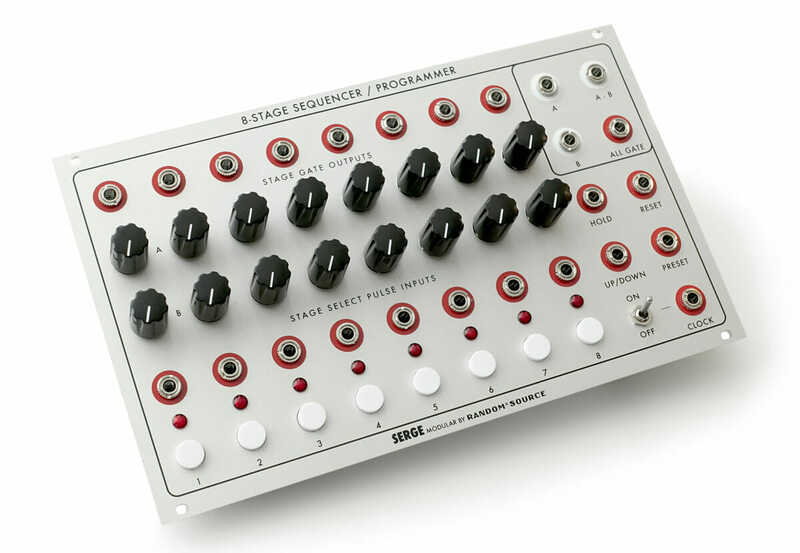 His vision for a Serge system (3U) was to create a ‘synthesizer for the people’ using banana jacks and 4U modules adopting Buchla’s flare for color-coding – trigger signals are red, sync signals are purple, DC coupled signals are blue, and AC coupled signals are black. Stylized on a uniform panel, these modules and systems are available via Random Source and independent builders making prints and kits available for DIY users. 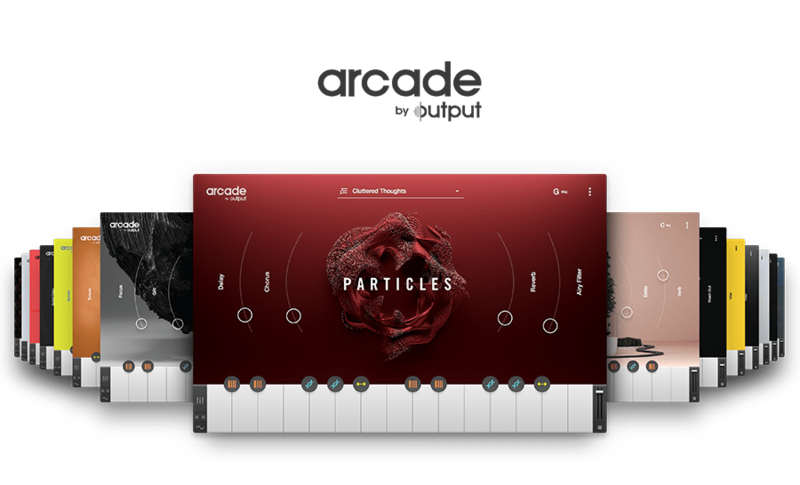 Enter our Studio Playdate Giveaway with Noise Engineering to win a free year of Arcade & the digital drum synthesizer Basimilus Iteritas Alter by 2/1. We’re mad about modular synthesis – that’s no surprise! As modular synths are becoming a new standard, there’s a wealth of resources to devour before taking the plunge yourself. With many of the masters carrying the torch and exploring new frontiers of sound design like Richard Devine and composer Suzanne Cianni. Nowadays, there’s so many ways to make modular music and software developers are pushing the envelope & making modular music more accessible to the masses with innovative hybrid instruments and plug-ins. Musicians can even virtually build their own systems with open-sourced platforms like VCV Rack or ModularGrid. 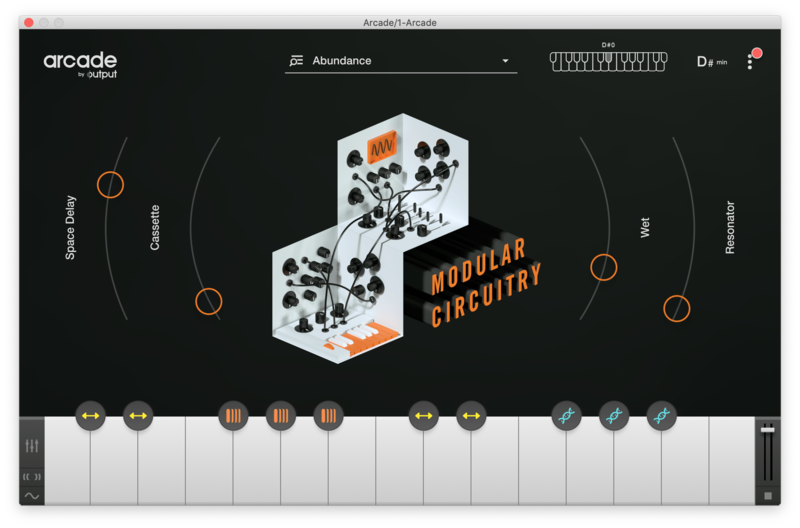 With Arcade, you can access our entire Line called Modular Circuitry, designed from vintage to modern modular systems for just $10 a month. As well as, Output’s sister engines Analog Strings and Analog Brass & Winds for next level orchestral sound sources processed through modular synthesizers.